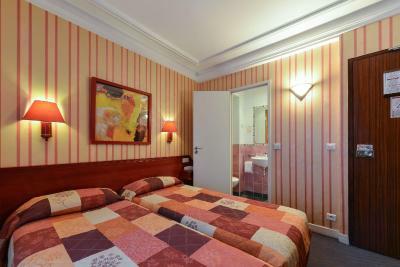 The hotel is near the gare du nord station and poisseniere metro station.. The breakfast was fresh and delightful, could add more variety to the menu. 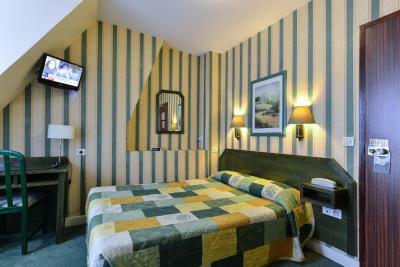 Correct hotel in the immediate vicinity of Gare du Nord. Clean and well heated. 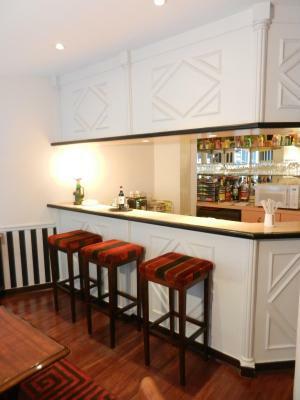 It was very good located, close to the metro station. 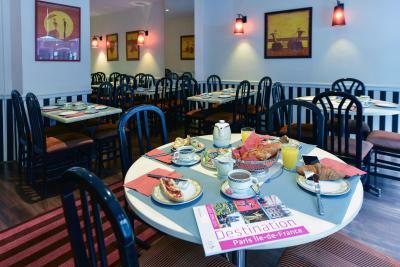 The breakfast was good the croissant delicious. Across the street there's a Japanese restaurant really good!! 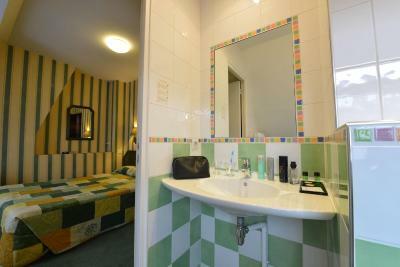 Rooms were comfortable, and very clean. Staff were friendly and check-in was very quick and easy. The price was excellent for the location! 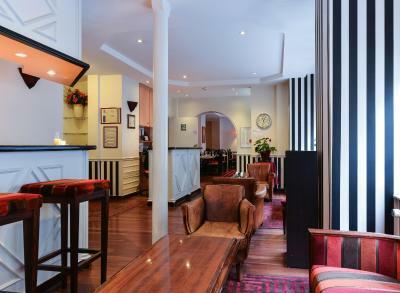 Although we had a reservation through Booking.com, the small Maison du Pre hotel was oversold; so, we were "walked" to their sister hotel, the Relais du Pré, located two blocks away and owned by the same family. It is rated as a three-star hotel, but really it's about 2-stars. 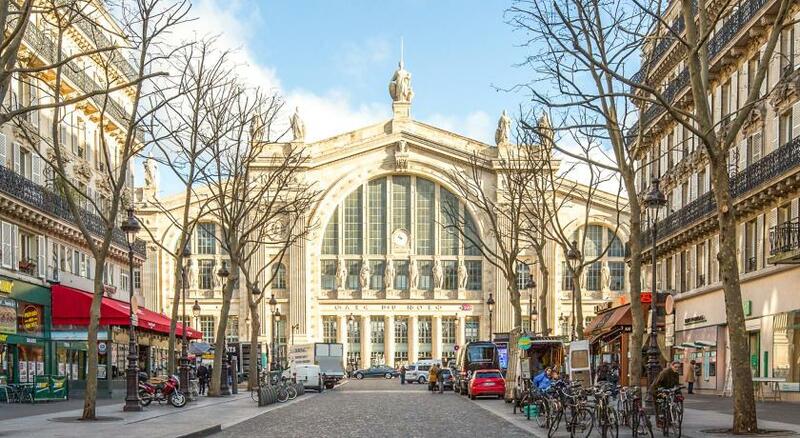 Good location and very convenient to Lafayette Avenue and a 25+ minute walk to the Galleria Lafayette and Opera House where all the site-seeing buses and CDG Airport buses pick up. Our room was adequate, but small and very dated. 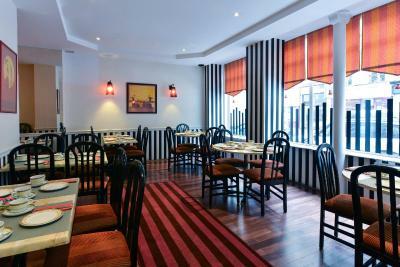 The staff is very friendly and the breakfast was good. The elevator was built for gnomes! One person and two suitcases max! 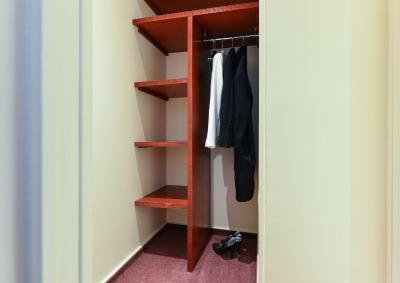 While I might return here, I think I'd shop before booking this hotel again. 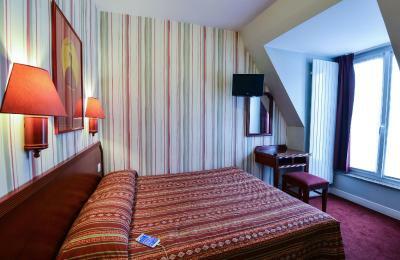 The staffs were incredibly nice and the location was great! 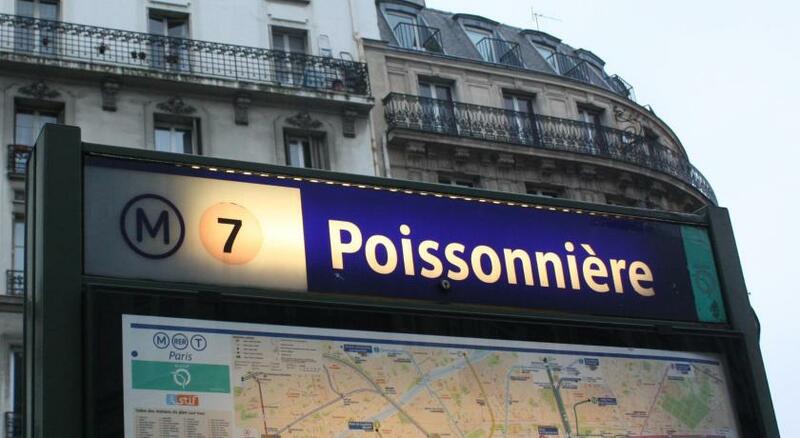 Close to gare du nord and poissonnière, many línea of busses. My parents had a great experience!! 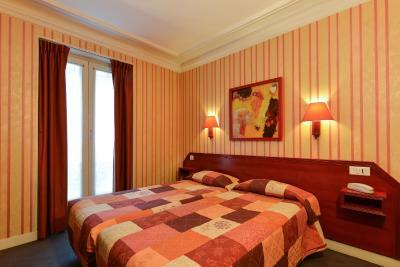 This typically Parisian hotel is located 1,000 feet from the Gare du Nord, close to the Gare de l'Est and near the Sacré Coeur, the Opera and Department Stores. 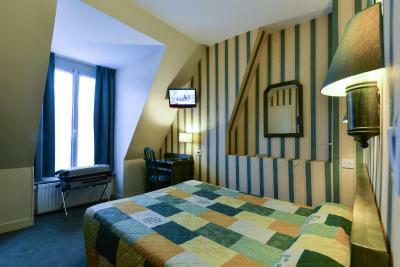 In addition to its location, Maison du Pré offers comfortable rooms and a charming atmosphere. 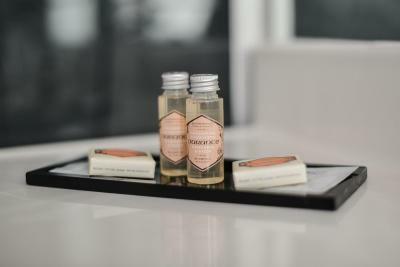 Everything contributes to making a pleasant stay in Paris. 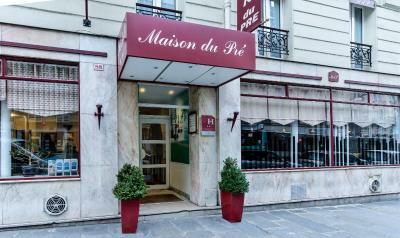 When would you like to stay at Maison Du Pré? 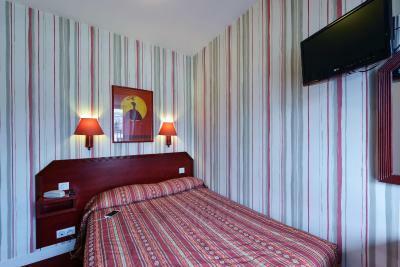 This room features a flat-screen TV with satellite channels and a telephone. 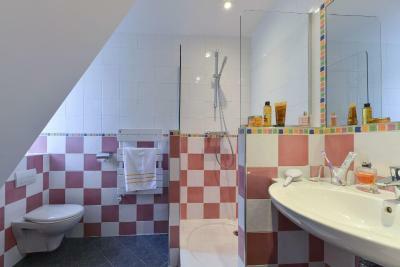 It is complete with a private bathroom. House Rules Maison Du Pré takes special requests – add in the next step! Maison Du Pré accepts these cards and reserves the right to temporarily hold an amount prior to arrival. The area near Montmarte can be a bit intimidating at night but you just need to walk in well lit area. 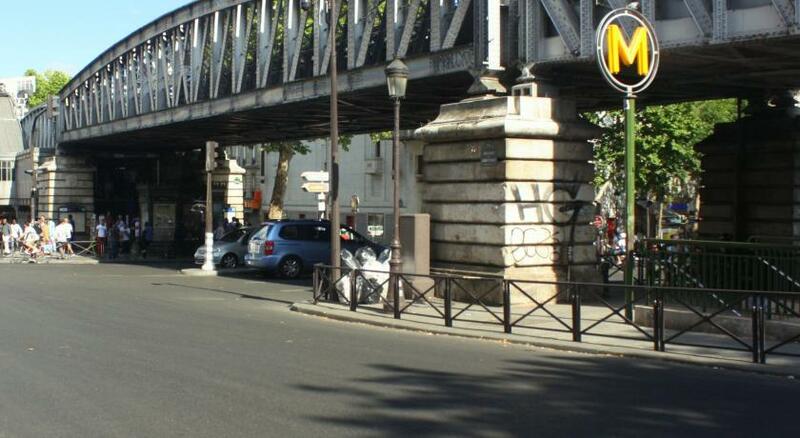 Near to Gare du Nord making it accessible for sightseeing. 2nd time to stay here and still like it. Lots of restaurants in the area. 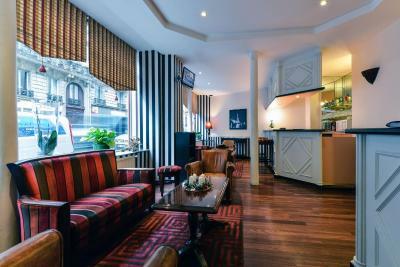 The location is 10 mins walk from gare du nord, there are lots of restaurants nearby especially in front of gare du nord station..
Everything was fine, will book again. We booked two rooms. One room for 3 people which was nice and clean. Another for two people but there was smell in the room/washroom. We got the room switched because they had another available but if they didn't then it would have been a very uncomfortable night. Second room was good but the washroom had a smell by the morning as well. We were leaving in the morning so it did not bother us. 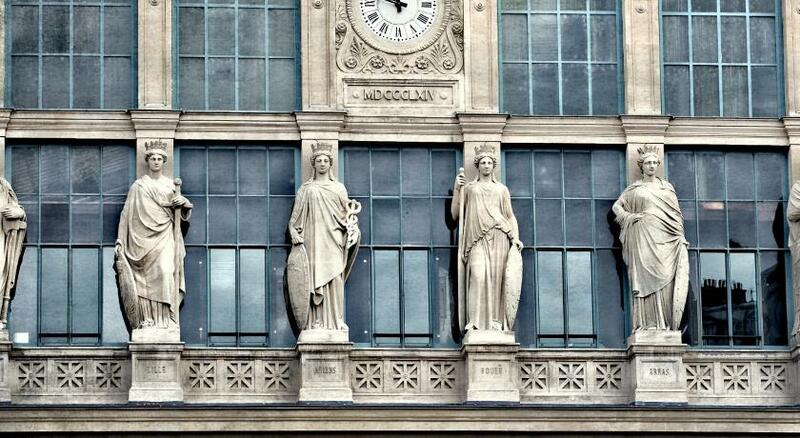 Close to Gare du nord. But we arrived very late to the airport and the last train had left so it did not do us any good to book it close to the station. It did help on the way back. Hotel it self is old and rooms are small but we were only there to sleep so room size did not matter. 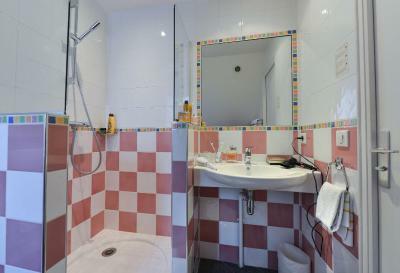 The staff very unfriendly especially the manager, the Bathroom very small during shower everything got wet, toilet a bad smell and very small. Shower had no screen. Bathroom floor got wet after each shower and had to mop up. Excellent location. 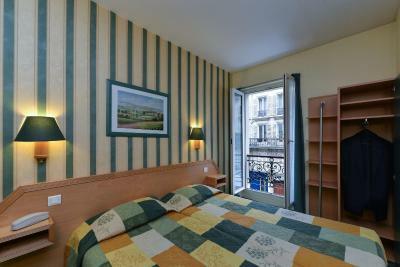 Close to Gare Du Nord station and lots of restaurants within walking distance. 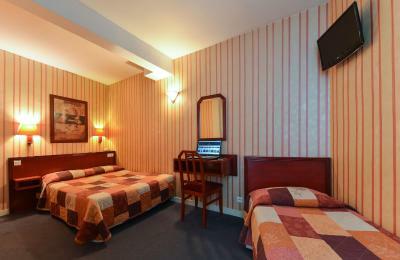 the rooms are pretty good for that price in Paris, the location was good, staff was helpful.